Of all the products we use on our bodies, commercial shampoo turns out to have the most harmful and potentially carcinogenic chemicals. The main ingredients in most regular shampoos include two potentially harmful chemicals you may have heard about, and want to avoid: sodium laurel sulphate (SLS) and parabens. The good news is that many new and effective natural and organic alternatives to SLS and paraben-free shampoos have emerged over the last decade. These shampoos are primarily based on essential oils and other natural compounds. We've picked our 7 favorite organic and natural shampoos for you below. Our list of includes amazing shampoos for moisture, volume, dandruff, your kids, and many other needs. Best Overall: Acure Organics Hydrating Argan Oil Shampoo, 8 oz. This hydrating, organic argan oil-based shampoo from our favorite natural beauty and skincare brand Acure Organics is our top choice on the market. It beautifully softens and repairs hair using Morrocan argan oil, argan stem cells, CoQ10, sea buckthorn oil and pumpkin seed oil. It is free of sulfates, parabens and any preservatives. Best Tea Tree Oil Shampoo: Nature's Gate Tea Tree Calming Shampoo, 18 oz. Tea tree oil is a legendary natural remedy and is widely known for strengthening hair and unclogging hair follicles. Tea trees, or Melaleuca alternifolia, are native to Australia, and the oil from their leaves has been used to shampoo and clean hair since aboriginal days. 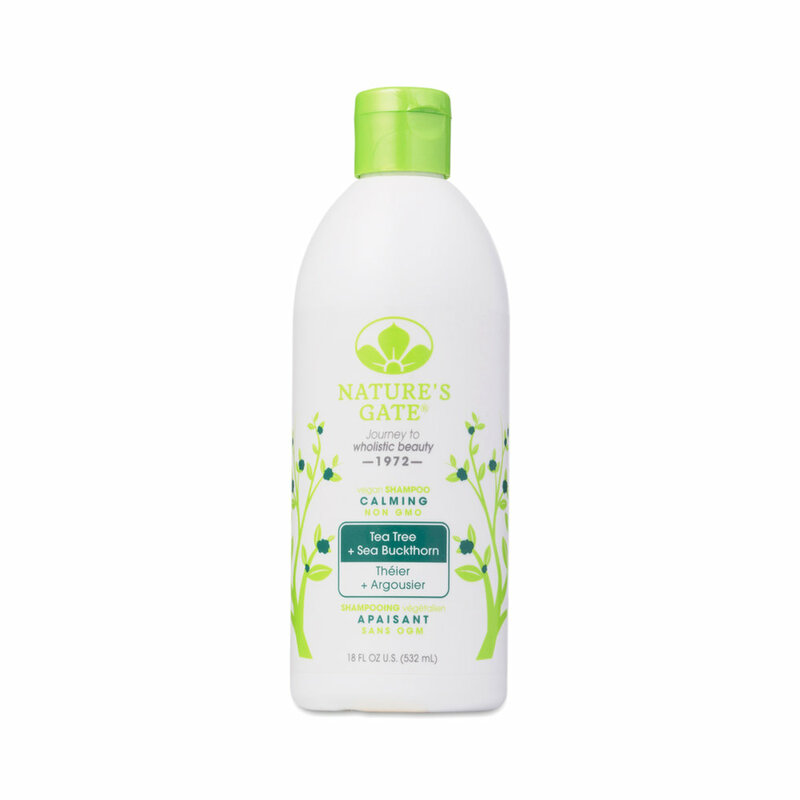 Nature's Gate's Tea Tree Shampoo combines Tea Tree oil with Sea Buckthorn Oil and natural herbs to create a soothing, gentle shampoo that smells delicious. 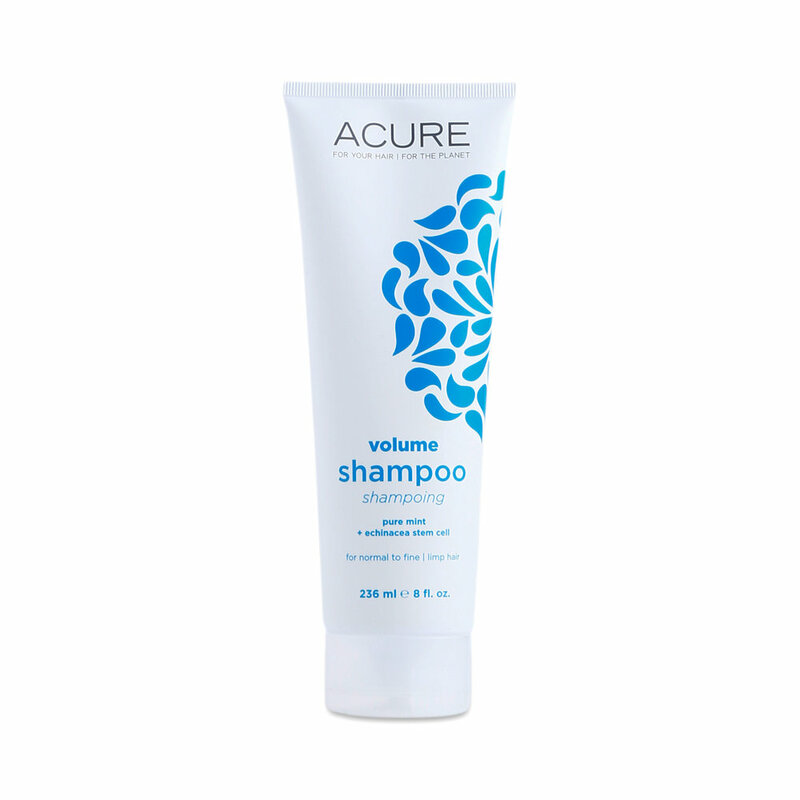 Best Ingredient Safety: Acure Organics Mint Volumizing Shampoo, 8 oz. Acure's minty shampoo is our top organic pick for ingredient safety, and is a great volumizer as well. The Environmental Working Group (EWG) is an amazing resource to use for assessing beauty product risk - their scientists review 80k+ personal care products for ingredient safety. They've rated Acure Organics' Mint Shampoo a 1 out of 10 for risk, making it the safest shampoo we recommend! Best for Babies: Everyday Shea Fair Trade Baby Shampoo and Body Wash, 16 oz. 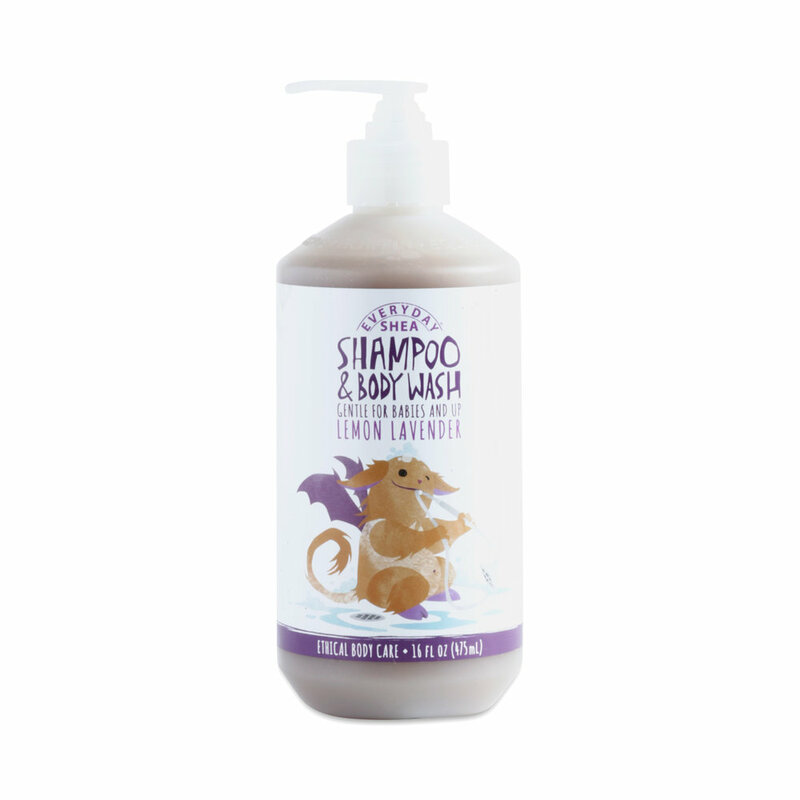 This gentle shampoo and body-wash is specifically formulated for kids and uses minimal ingredients. Everyday Shea uses a blend of unrefined shea butter and unrefined virgin coconut oil as their main ingredients, plus lemon balm and lavender essential oil. The shea butter is Certified Fair Trade, and 10% of EveryDay Shea sales are donated to support its parent company Alaffia Sustainable Skin Care's poverty alleviation work in West Africa. Best for Dry Hair: Desert Essence Coconut Shampoo, 8 oz. This natural coconut-oil based shampoo isn't completely organic, but many of its key ingredients are, and it is SLS, paraben, and preservative-free. We love the three oils in this shampoo and their ability to clean and repair very dry hair: coconut, jojoba and olive oil. They also have a very soothing and moisturizing effect on itchy scalps. Best for Dandruff: Jason Natural Dandruff Relief Treatment Shampoo, 12 oz. This dandruff shampoo from the high-end Jason Natural brand is incredibly effective at managing dandruff and stands out in the market. It's paraben, SLS and preservative-free, though not completely organic, and one of the best-reviewed natural shampoos on the market. The last entry on our list isn't a traditional shampoo, but can be a lifesaver when you don't have time to wash your hair or don't want to overwash and strip it of essential oils. 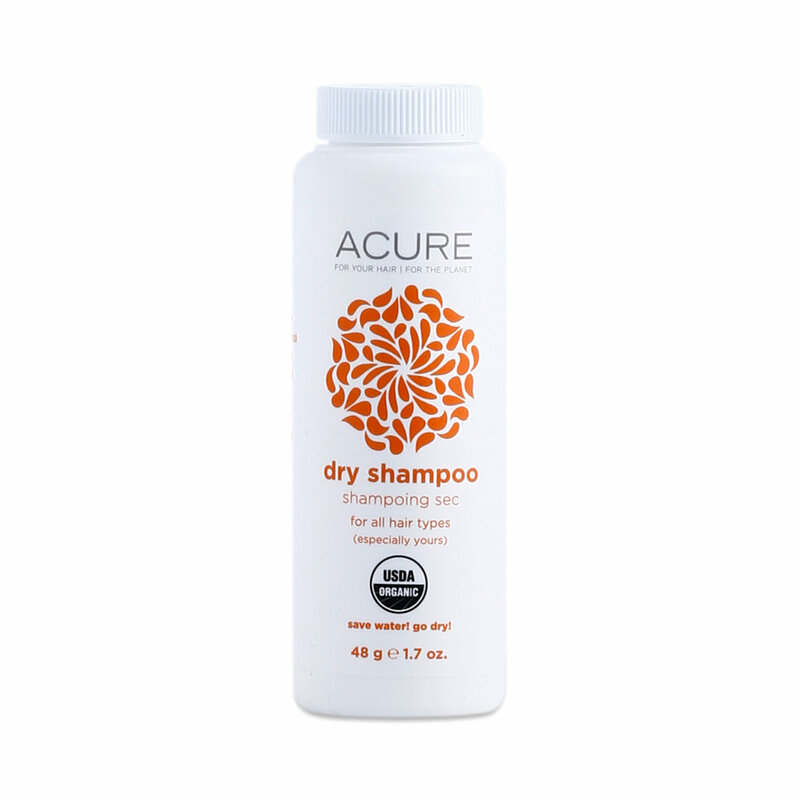 This dry shampoo from Acure uses similar ingredients to our hydrating best shampoo pick: argan stem cells and CoQ10 increase your hair's keratin and moisture, while arrowroot powder and natural corn starch absorb oil and counter dirt and grime.